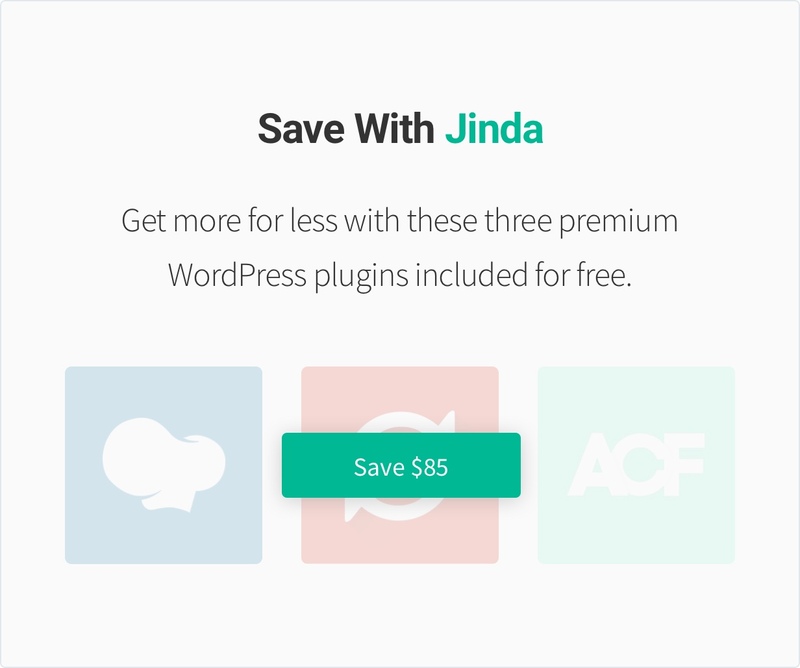 Jinda is a creative multipurpose corporate WordPress theme designed in a beautiful minimalistic way to empower your internet company. It may be used for many kind of websites starting from news magazine and personal portfolio and ending with corporate and photography. 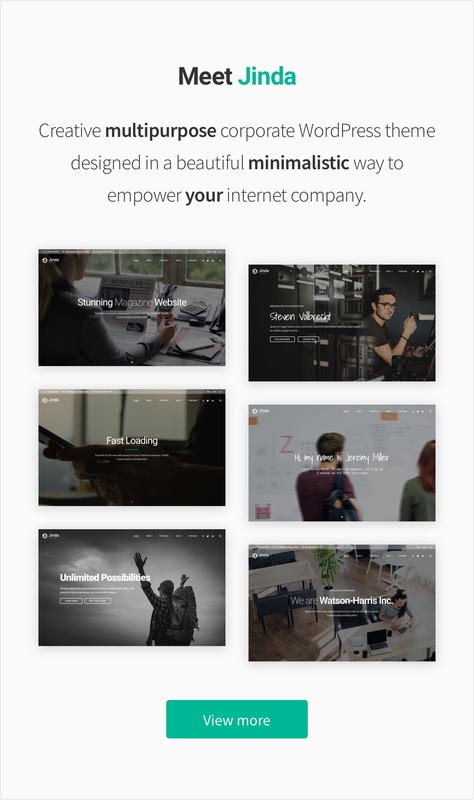 The theme comes with 40+ pre-built pages that you can use as a starting point for your website. Each page is fully customizable in a convenient visual page builder. 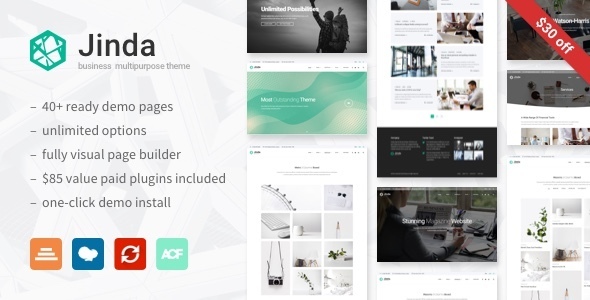 Theme is also completely compatible with most popular plugins like WPML, Yoast SEO, W3 Total Cache, Contact Form 7 and many others. All images and videos from theme demo are not included into theme package due to copyright policy.